Has your business upgraded to LED lighting yet? If not, you’re missing out on a litany of benefits that could be saving your company both time and money. You should strongly consider installing LED lighting throughout your business today. Here are just a few of the benefits that will come along with doing it. LED lighting is more energy efficient than other lighting options. Does it feel like you’re paying entirely too much money to your utility company each and every month? Your old conventional lighting could very well be to blame. LED lighting only uses about 50 percent as much electricity as other lighting options like fluorescent, incandescent, and halogen lighting. As a result, LED lights will trim your energy bills quite a bit every month. LED lights last significantly longer than incandescent and fluorescent ones. In addition to using less electricity, LED lights will also last a lot longer than your other lighting options. On average, fluorescent lights are only designed to last for between 8,000 and 10,000 hours, while incandescent lights are only designed to last for about 1,000 hours. But LED lights can last for anywhere from 30,000 to 50,000 hours and will sometimes last even longer than that. You won’t have to worry about replacing your LED lights often once they’re in place. LED lights are durable and can withstand everything from the cold to vibrations. Are the lights in your business routinely subjected to cold temperature, vibrations, and more? If you have incandescent or fluorescent lighting in place now, these things can take a toll on them. But LED lights are just about as durable as it gets as far as lighting is concerned. They’ll stand up to almost anything you throw at them and keep on giving off the same light. 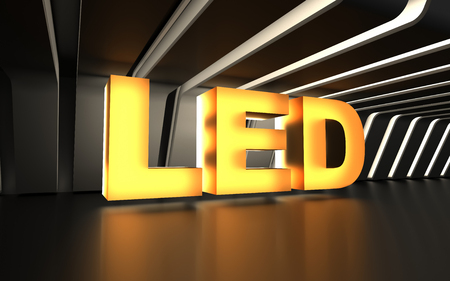 Once you install LED lighting in your business, you’ll wonder why you didn’t do it much sooner. Always on Electric can provide you with the commercial electrical services you need to take advantage of LED lights from now on. Call us at 970-309-2616 today to get started. Do you need to hire a commercial electrician to do electrical work for your business? You’ll likely notice that there are dozens of options in your area. Nevertheless, rather than simply picking the first one you can find, you should bring the best commercial electrician on board to ensure the job gets done right. There are several advantages you’ll get to enjoy when you hire the right commercial electrician. Take a look at them below. They’ll complete the electrical work you need done in a timely fashion. As a business owner, you don’t have the luxury of waiting around for an electrical job to be finished over the course of several days or even weeks. You need the job done as quickly as possible so that you can get back to business. A reputable commercial electrician will understand this and strive to get your job finished as soon as they can. They’ll make sure your electrical system is up to code before leaving your business. Finishing off a commercial job quickly is of the utmost importance to a good commercial electrician. But they won’t rush through a job and do sloppy work for the sake of getting the job done. They’ll make sure the work they do is up to code and get all the proper permits at the start of the process to prevent problems from popping up later. They’ll stand behind their work and come back to fix any problems that pop up in the future. A good commercial electrician should be able to get the job you need completed done right the first time. However, if a problem pops back up again and affects your business, your commercial electrician should be more than willing to come back and fix whatever went wrong. They’ll stand behind the original work they did and see to it that you don’t have to pay for another round of costly electrical repairs. The next time you need electrical work done in your business, contact Always on Electric for assistance. 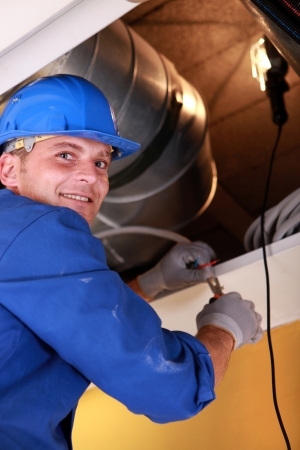 We’ll send a commercial electrician out right away to take care of your issue. Call us at 970-309-2616 today to make an appointment.